Just a quick update to answer some questions about the 10 Christmas Carols we are recording right now as Multi Track backing tracks. All are designed to be used in your Christmas services with contemporary full band arrangements in singable keys and in the same style as all the other backing tracks on Worship Backing Band – I.e not organ music! From the 10 there’s a real mix of big anthemic versions, mid tempo numbers and more gentle carols too. So in other words we’ve tried to give you a real mix of fast and slow stuff to help your carol service ebb and flow and follow a journey. Big songs include Tomlin-esque Joy To the World and Angels from the Realms of Glory. Brenton Brown’s Joyful Joyful adds in a new contemporary chorus section. O Holy Night takes some cues from Crowder and adds a sense of tension and Hark the Herald, O Come O Come Emmanuel and O Come all Ye Faithful are great mid tempo versions. Silent Night is very gentle but still with a full band arrangement but then The First Noel is really fun and up so there’s plenty of contrast. And lastly we’ve included Paul Baloche’s Christmas Offering as a more modern song for churches that want to bridge the gap between carols and their regular contemporary worship songs. But all chosen because they have genuinely worshipful themes and lyrics, not just songs about snowmen. Although I reaaallly did push hard for Mariah Carey’s All I Want for Christmas (joking…well maybe not). Recording should be finished this week so they should be in the store at some point in October. We’ll keep you all posted as to exact dates and progress. They’ll be available individually and we’ll do a great deal as a pack of 10 which should last you a number of Christmases! 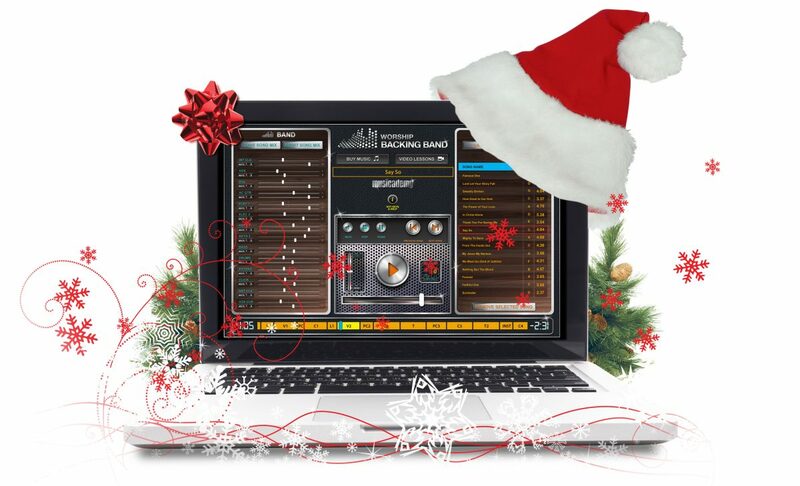 Lastly, even if you have a full band and don’t use them as backing tracks, using the parts with your band could take the time and headache out of building instrument arrangements for your Christmas services.